New Delhi: Uncertainty over the date of presentation of the Union budget continued as leaders of the Congress party-led United Progressive Alliance were preoccupied with the passage of the anti-graft Lokpal Bill in Parliament. “The government will take a call on the budget dates only after the Parliament session is over. A final decision should be taken by next week," said a finance ministry spokesperson. The budget is traditionally presented on the last working day of February. 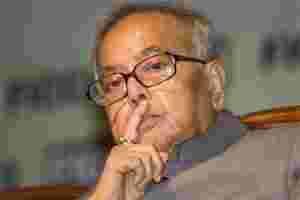 A senior minister in the government, who did not want to be identified, said that both Prime Minister Manmohan Singh and finance minister Pranab Mukherjee will discuss the matter early next week. The Election Commission of India on 24 December announced assembly elections in Uttar Pradesh, Uttarakhand, Manipur, Punjab and Goa. While Punjab and Uttarakhand will vote on 30 January, Uttar Pradesh will have seven-phased elections on 4, 8, 11, 15, 19, 23 and 28 February. Goa will go to poll on 3 March and counting will take place on 4 March. The code of conduct that came into effect on the day of poll announcement will be effective till 9 March. Although chief election commissioner S.Y. Quraishi cited precedence for the budget being postponed by few days due to elections, he indicated that the poll panel does not have a problem with the presentation of the budget in February itself. “Except in Goa, we will be completing the elections in all four states by 28 February, leaving 29 February for the budget. I have nothing to do with it. Our feeling was that if the budget does not have anything special for Goa, then there is no problem," Quraishi told PTI. Another finance ministry official said that though 29 February has not been ruled out, the government is considering some dates in March. “We can’t ask Parliament to postpone the budget. However, once it has happened that the budget was postponed by a few days due to elections. It is likely that the budget will be postponed by a few days this time and will be presented after the Goa elections," said a senior official requesting anonymity. Utpal Bhaskar contributed to this story.